No Partner necessary. No need to sign up days before, show up 10 minutes early the day of to get checked in and warmed up. 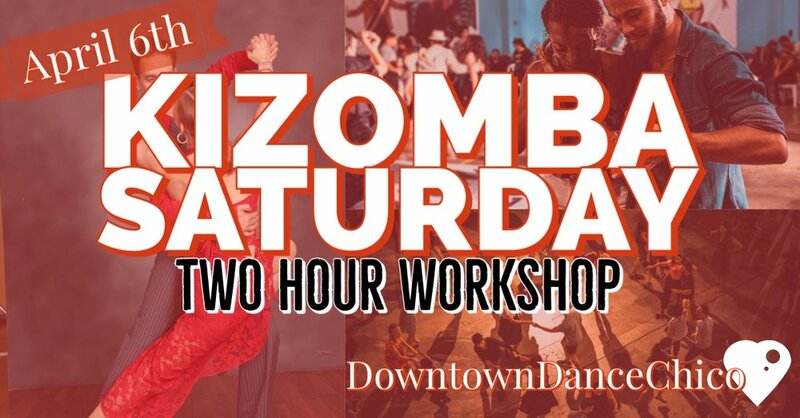 *You must already know the basics of Kizomba to take this workshop. Take your Kizomba from solid to stylish. In this workshop we will develop more pattern knowledge and stylings to help you sizzle on the floor. Hour one will develop individual movement and style. Hour two will some great ways to shine with your partner.